Need an incredibly fast maximum aperture standard focal length APS-C lens for Sony E-mount? 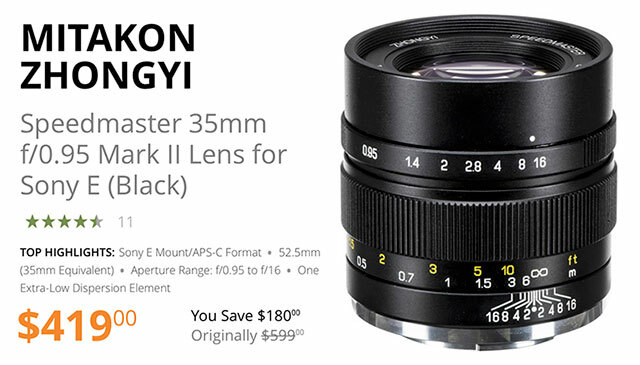 Mitakon Zhongyi Speedmaster 35mm f/0.95 Mark II APS-C E-Mount Lens offers a bright f/0.95 maximum aperture ideal for working in low or difficult lighting or control over depth of field. Its optical design features both low dispersion and high refractive index elements to control chromatic aberrations and reduce color fringing for high degree of image quality throughout the aperture range. Balancing the optical components is a robust all-metal lens body that facilitates a smooth manual focus design along with a manual de-clicked aperture ring for smooth, silent exposure adjustment. What Sony E-Mount Lens Do You Want Next? 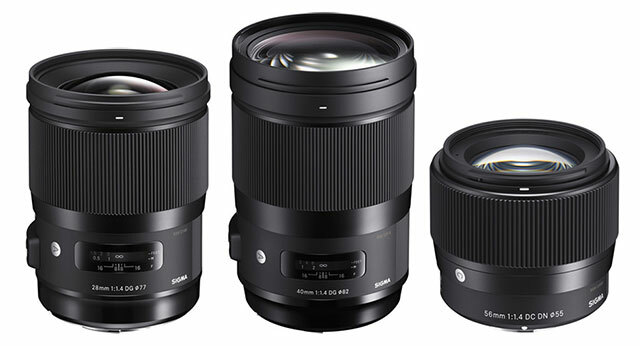 Sony announced that TWELVE new E-mount lenses are coming soon! 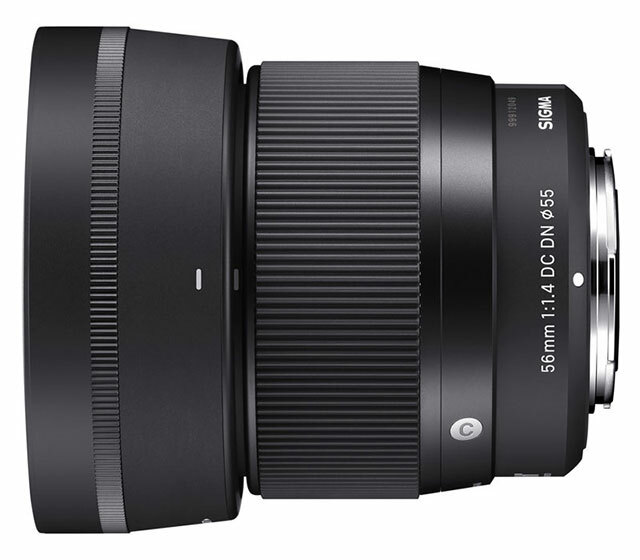 What E-Mount lens do hope Sony announces next? Leave your choice in the comments. Pricing and availability will be announced later. 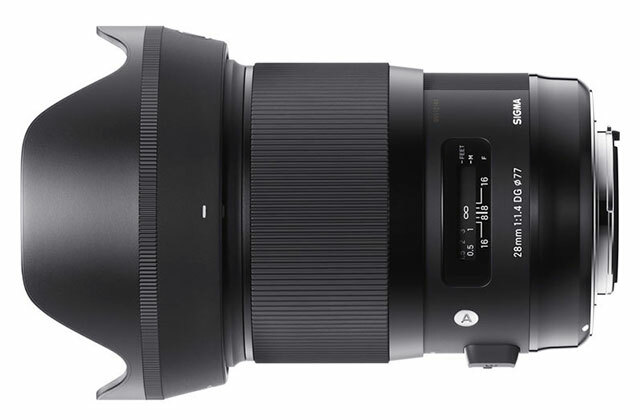 The 40mm F1.4 DG HSM Art is Sigma’s first lens developed originally to live up to the sought-after angle of view and performance standard for a benchmark cine lens. This lens effectively arranges three FLD (“F” Low Dispersion) glass elements and three SLD (Special Low Dispersion) glass elements to correct axial chromatic aberration and magnification chromatic aberration. Designed for exceptional sharpness at maximum aperture, this lens excels at available light photography. With less than 1% distortion and near non-existent sagittal coma flare, this lens demonstrates consistent optical results featuring both 8K-compatible resolution and a beautiful bokeh. It is available for Sigma, Nikon, Canon and Sony E mount camera systems. 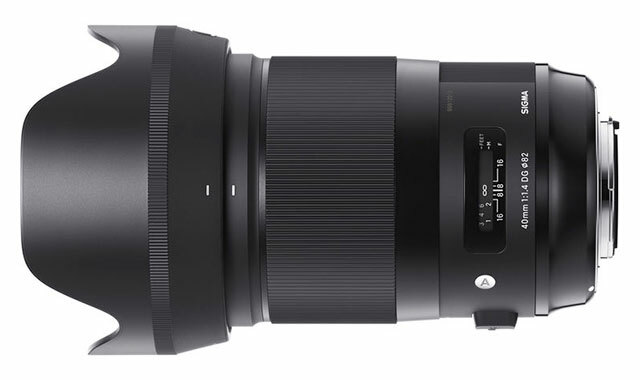 This lens completes the Sigma large aperture series of portable wide-angle, standard, and telephoto prime lenses in Micro Four Thirds and Sony E mounts. Featuring compact design, light weight and outstanding image quality offered in Sigma’s Contemporary line, this lens stuns with a beautiful bokeh effect and the amount of brightness expected from F1.4 lenses even in the mid-telephoto range for cropped sensor cameras. In addition, this lens is characterized by smooth and quiet autofocus ideal for video shooting. Compatible with the Sony E mount Fast Hybrid AF, it also achieves precise AF tracking. By using the face recognition or eye AF functions of the camera, focus will continuously be on the face or the eye even if the subject moves during the shoot. 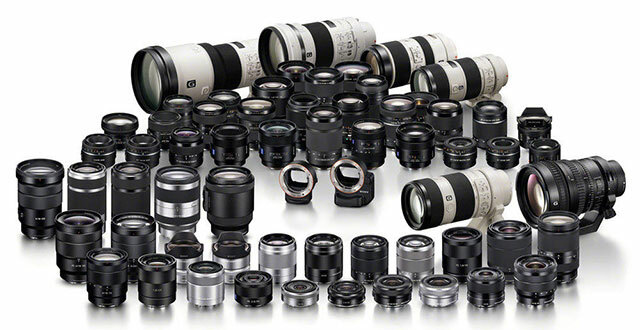 Sony Announces TWELVE New E-Mount Lenses Coming Soon! At today’s Photokina press conference, Sony announced they will soon release TWELVE new E-Mount lenses bringing the total E-mount lens lineup to SIXTY. My guess is that “soon” means “within the next year” and this may be a mix of FE and APS-C lenses. While no specific lenses were mentioned, this is certainly good news for Sony shooters. 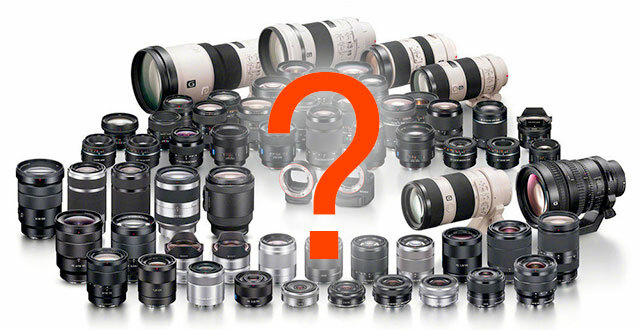 Let me know in the comments what lens you’re hoping Sony will announce next. Sony Announced engineers are working to extend Eye AF to animals which should come as welcome news to pet and wildlife photographers. Shorten announces CRF-SE II E-Mount adapters for Contax C and Nikon S mount lenses with an 8mm helicoid featuring solid-brass construction for durability, rigidity. Both adapters feature 8mm helicoid extension for added close-focus capability.